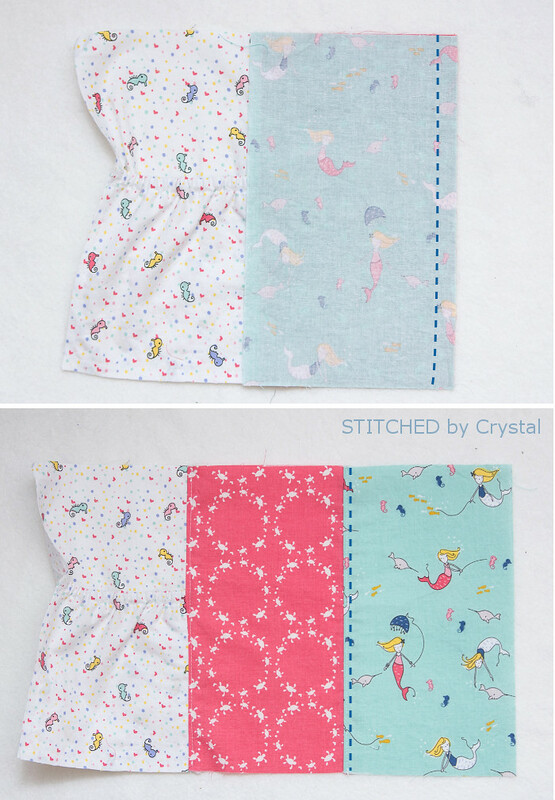 A few months ago I was contacted by Riley Blake about using some of their fabrics to sew up a project to share. I have always loved Riley Blake fabrics, so I jumped at the chance! I got to look through all of their new and releasing soon fabrics and choose my favorite and they sent me a beautiful package of fabric in the mail! Today I am sharing my project with you! 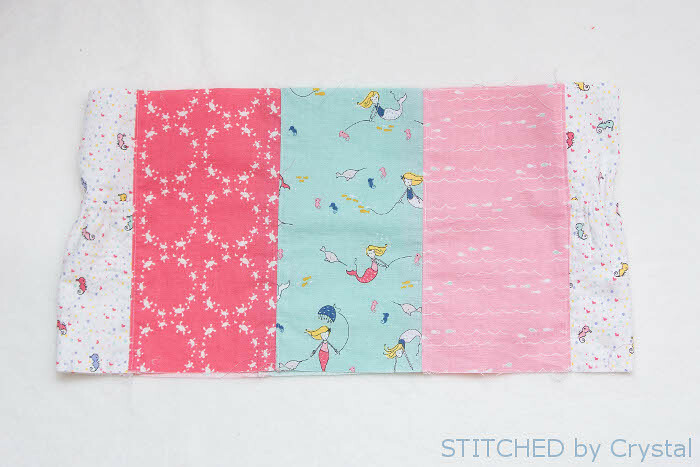 All the Riley Blake stuff is so cute, but choosing a fabric was really easy for me. I am a huge mermaid fan, you may remember this mermaid doll or this adorable mermaid baby! 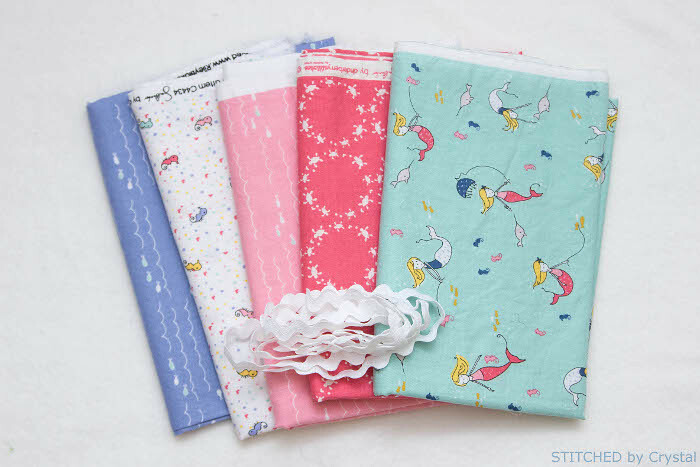 So when I saw this adorable Saltwater fabric I just had to have some! 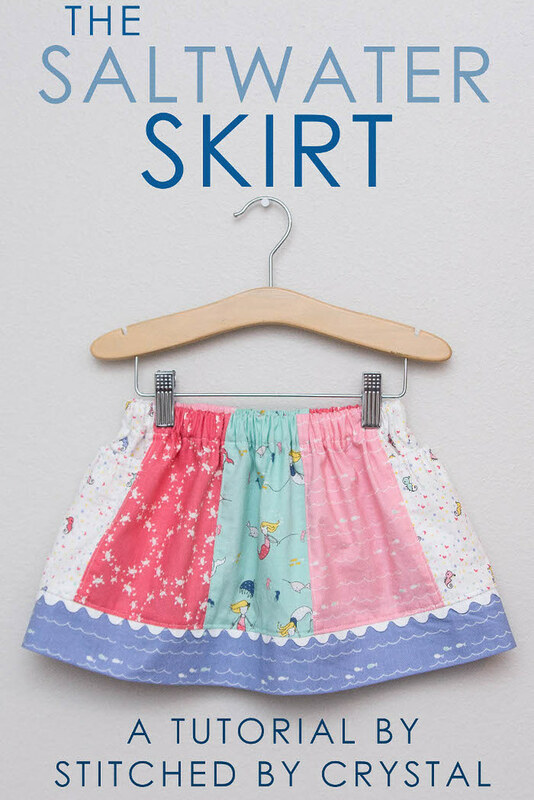 I decided it would make the perfect summer skirt for my daughter. 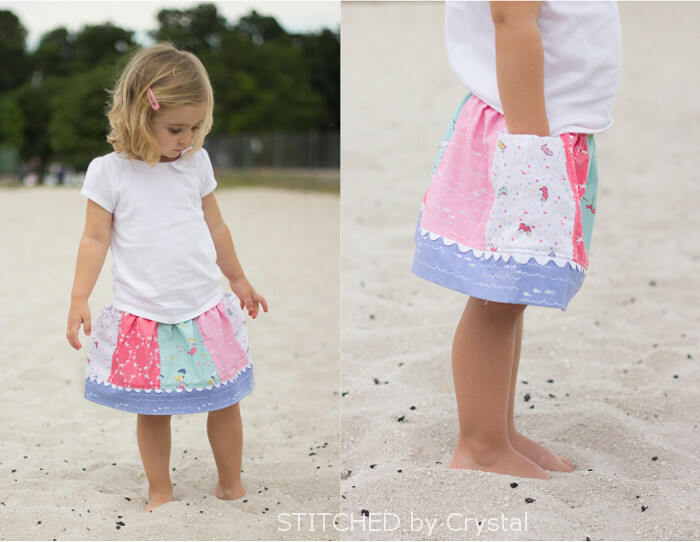 This skirt is a really simple sew with a fun patchwork design. It has an elastic waist and hits right at the knee. You can add some fun trim, I used some of this ric rac, this lace would be really cute too! 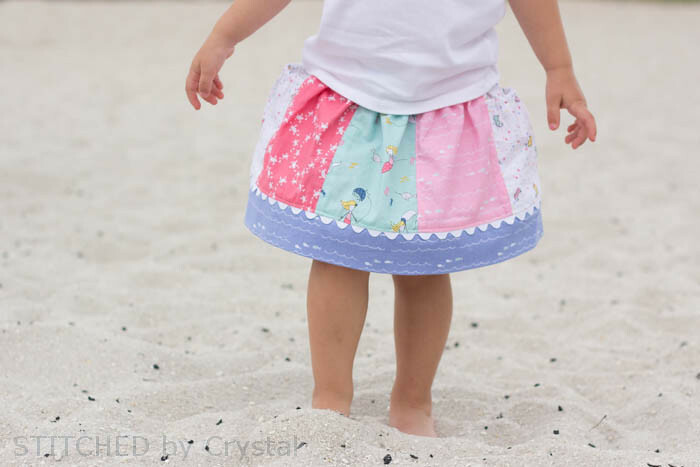 And the skirt has big, deep pockets on the sides, perfect for collecting seashells in the sand! 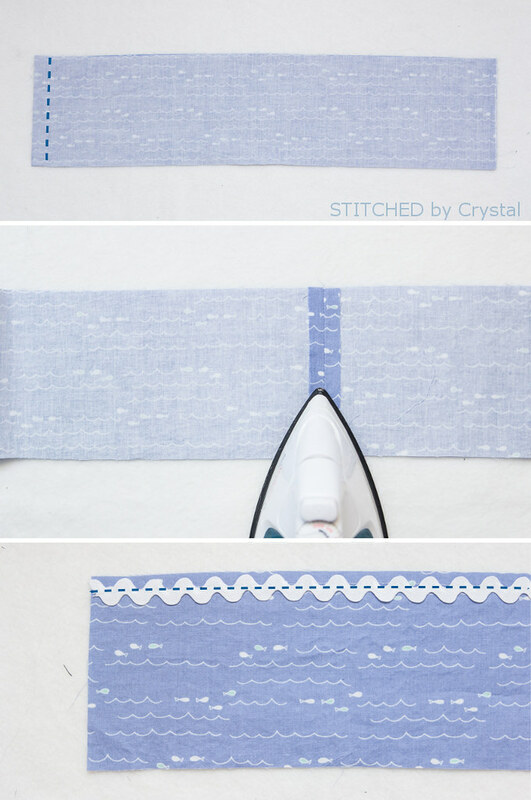 Want to make a Saltwater skirt? Check out my tutorial below! 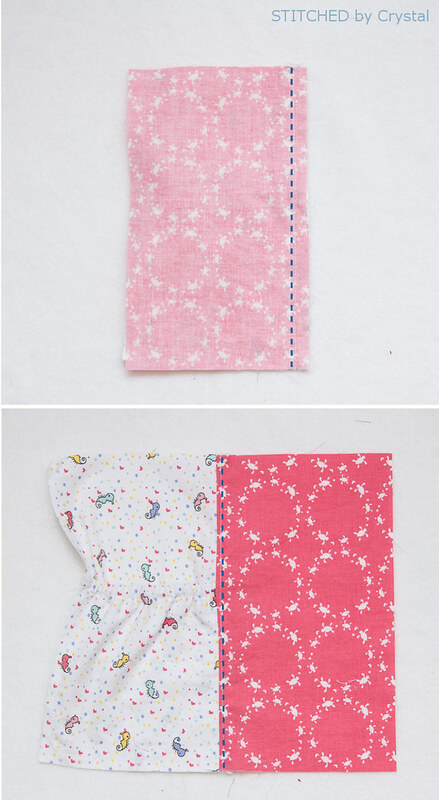 5 Saltwater fabrics, you will need 1/4 yard of one print and 1/2 yard (or fat quarters) of of the other 4 prints. 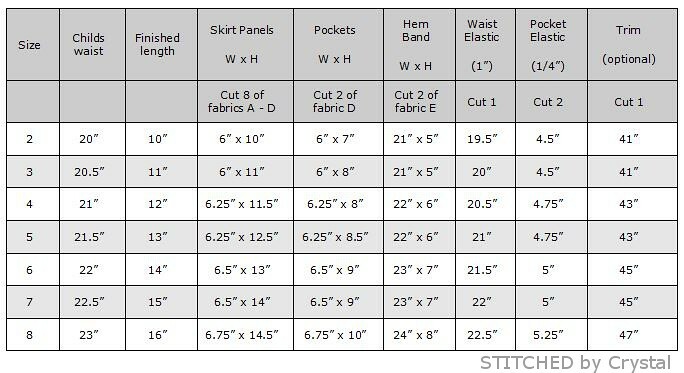 Cut your fabric according to the chart below. Please note, this skirt was designed and sewn in the size 2, I have not tested it in other sizes, but I crunched some numbers so you can make bigger sizes. 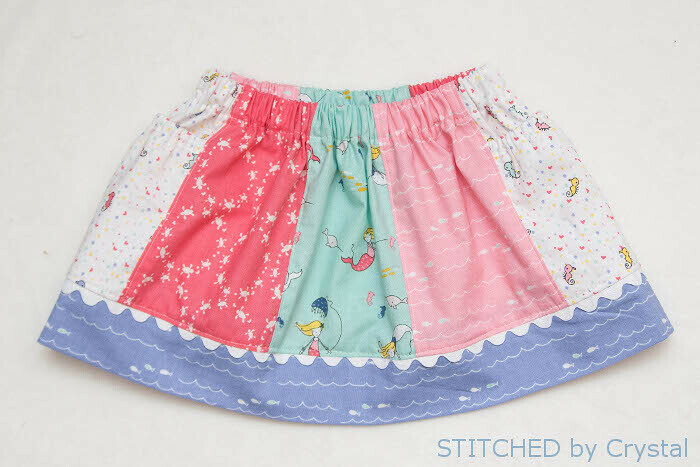 I would recommend finding the finished length you want and sewing up the skirt in that size, the elastic waist can be adjusted to fit your child, just cut the elastic .5 inch smaller than their waist measurement. All measurements in the chart and tutorial are in inches. In the chart, W stands for Width and H for height. All seam allowances are 1/2" and are included in the measurements. Start with one of your pocket pieces. Fold the top edge 1/4" towards the wrong side of your fabric, then another 1/2" towards the wrong side. Press and sew along the folded edge to create a casing. Using a safety pin, feed one of you pocket elastic pieces through the casing. When the elastic just slips inside the casing, baste it to keep it in place. Continue pulling the elastic all the way through the casing and baste it on the other side. Line up the bottom and side edges of your pocket with the coordinating skirt panel and baste the pocket in place along the bottom and sides. Repeat with your other pocket piece. 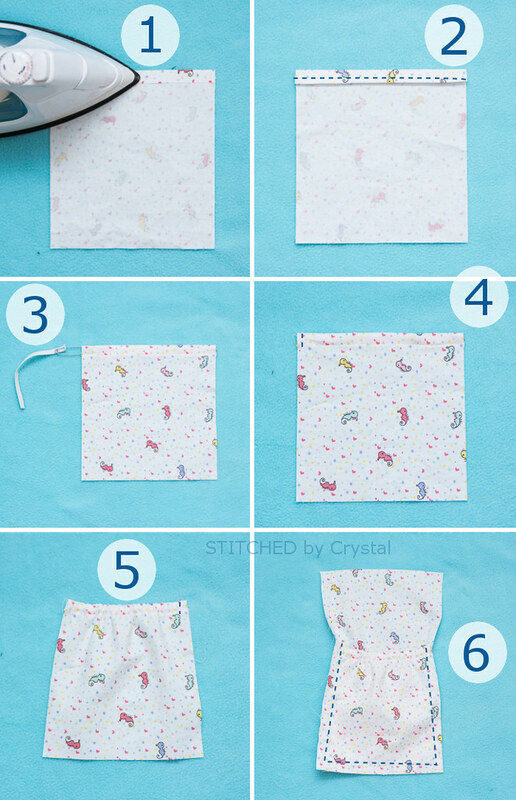 Place your pocket panel and another skirt panel right sides together and sew along one side with a 1/2" seam allowance. 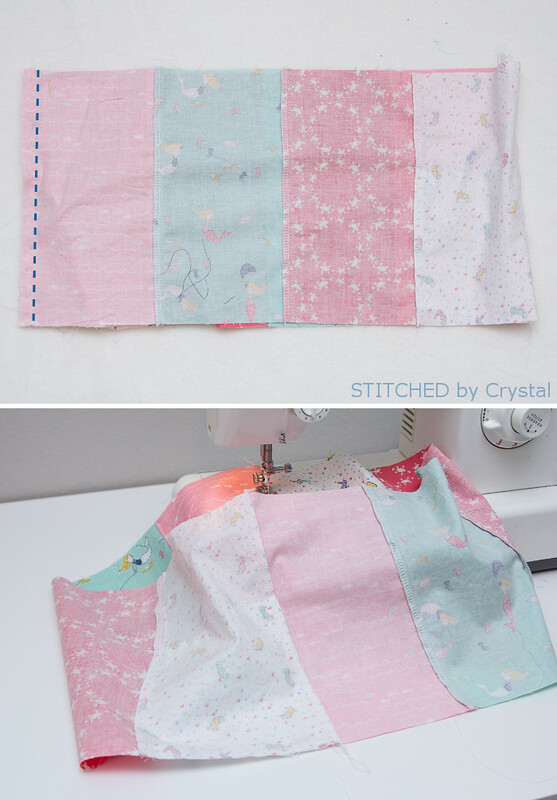 Finish the seam with a serger, zigzag stitch or pinking sheers. Press the seam away from the pocket and topstitch 1/8" from the seam. 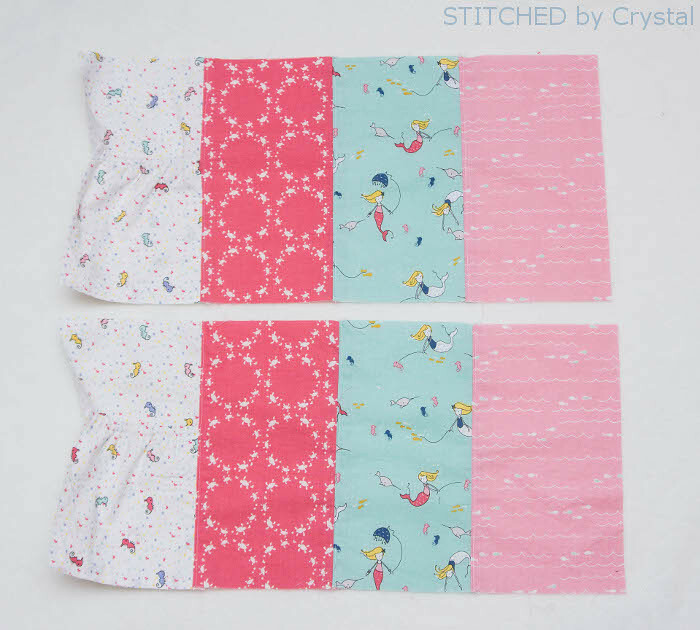 Add the next skirt panel the same way (this one will be your middle panel, I chose the mermaids to go front and canter!). Finish the seam, press the seam away from the pocket and topstitch. Then add the fourth skirt panel, finish the seam, press the seam away from the pocket and topstitch. 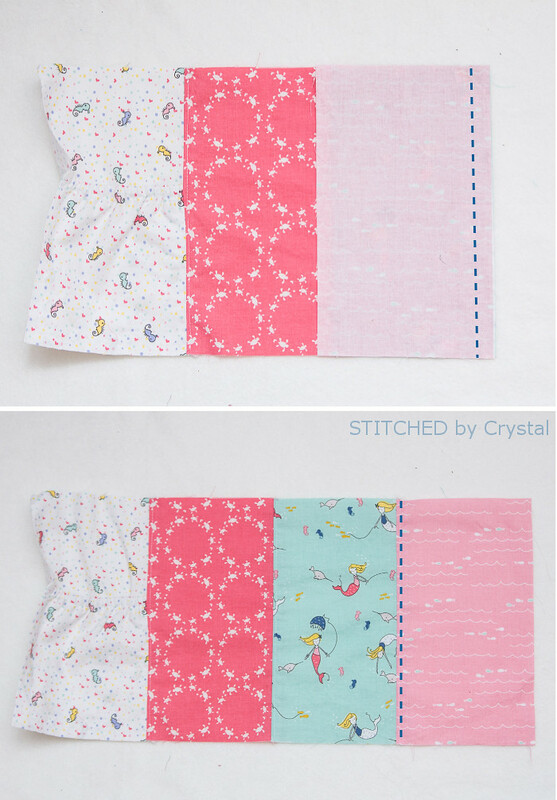 Repeat those steps to sew the other panels together, you should now have a skirt front and back that are identical. Place the skirt front and back right sides together, sew along one side with a 1/2" seam allowance. Finish the seam, press the seam away from the pocket and topstitch. Fold the skirt so it is right sides together again, line up the other side of the skirt and sew with a 1/2" seam allowance. Finish the seam, press away from the pocket and topstitch. I find it easiest to topstitch this seam with the skirt inside out, with my sewing machine foot inside the skirt as pictured below. You should now have a completed skirt piece that looks like the one below. 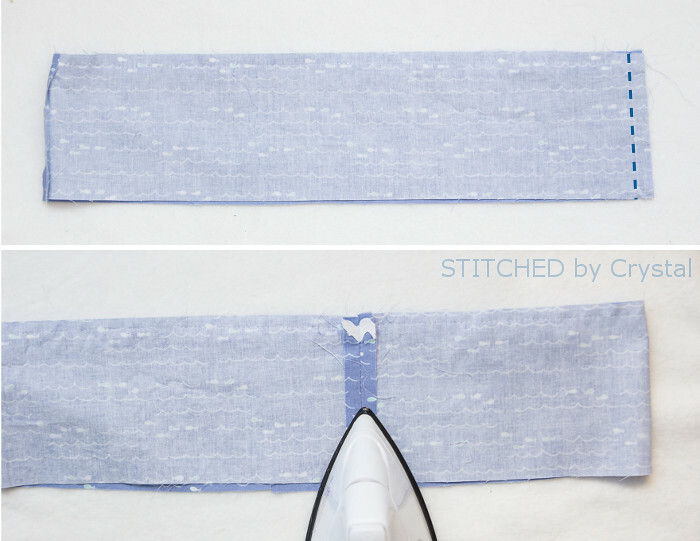 Place your hem band pieces right sides together and sew them together on one of the short sides with a 1/2" seam allowance. Press the seam open. If you are adding trim, baste it to the top of the hem band now. You will have a 1/2" seam allowance at the top of the band so make sure to account for that when placing your trim. Refold the hem band right sides together and sew the other side. Press the seam open. Fold the hem band in half, wrong sides together. Line up the raw edge of the hem band with the bottom of the skirt, right sides together. 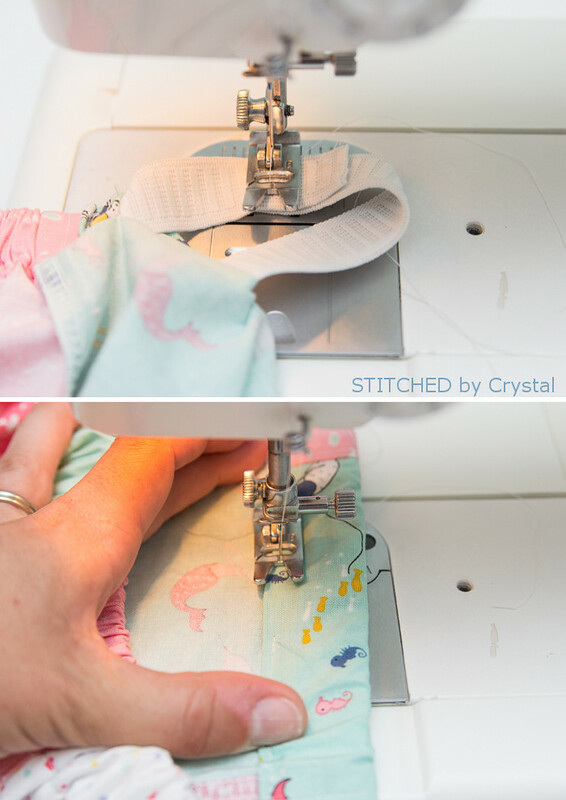 Sew the hem band to the bottom of the skirt with a 1/2" seam allowance, finish the seam. Press the seam up towards the skirt and topstitch. 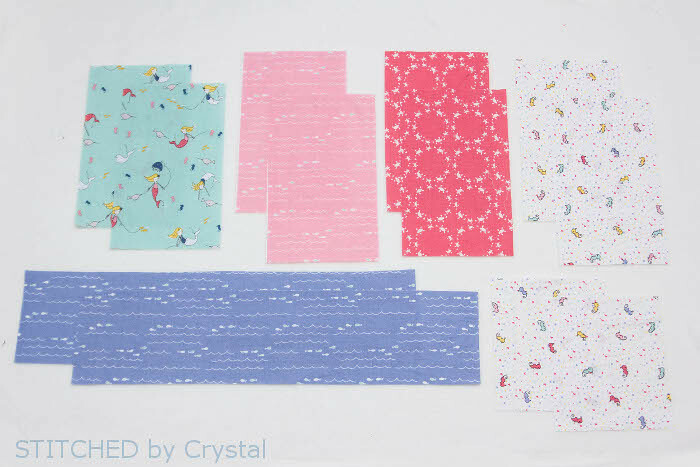 Finally, you will create a casing for the waist elastic. Fold the top of the skirt down 1/4" towards the wrong side and press. Then fold another 1.25" and press. 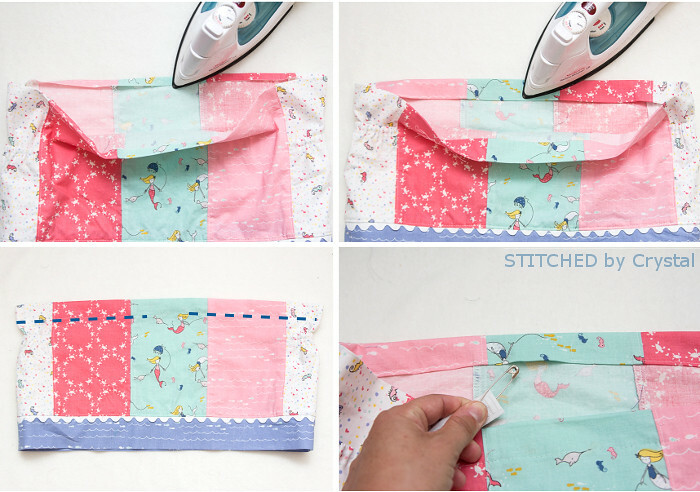 Sew along the folded edge to create your casing, leaving a 2"-3" opening at the back of the skirt. Using a safety pin, feed your waist elastic into the casing through the opening. 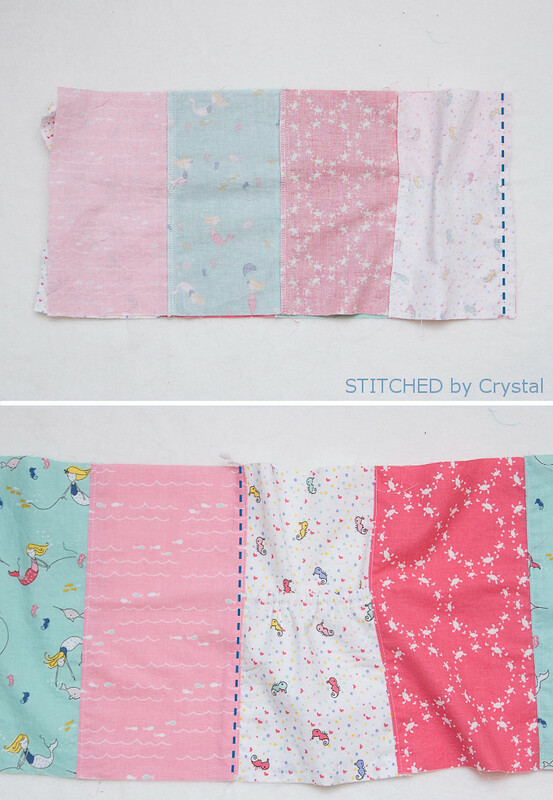 Overlap the ends of the elastic by 1" and sew them together, making sure the elastic is not twisted inside the casing. 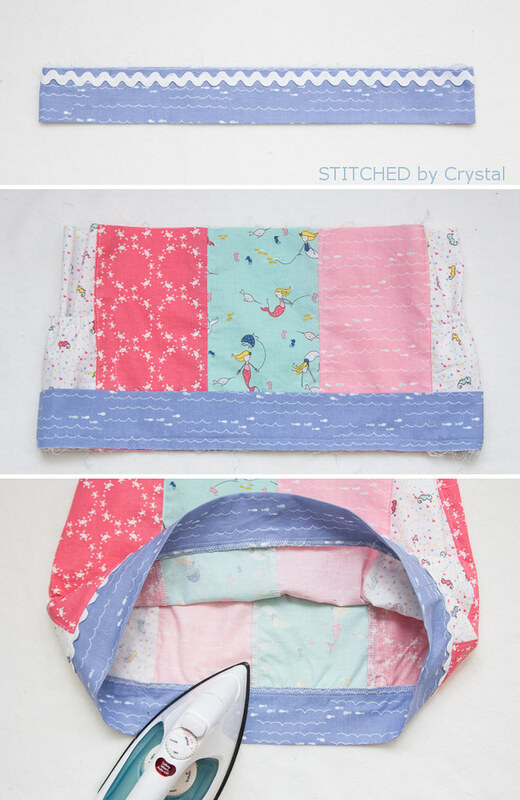 Stretch the waistband so the elastic slips inside the casing and sew the opening closed. Thanks for stopping by and reading! And a huge thanks to Riley Blake for sponsoring this post! Thanks Donna! Red, white and blue skirts will be cute! That skirt is so pretty. So easy, but all the colors work perfectly together. Love it! Thanks Annika! Isn't the Saltwater fabric lovely! Adorable! Thanks for the additional sizes too! Thank you for sharing this adorable skirt!!! Seriously adorable! I love the addition of the pockets, so fun for summer. Thanks for sharing! Making a Halloween version for my ten month old. I love the size chart, it made it super easy to scale down to her size. It is a matter of time to get a trusted wholesale partner. If you find attractive suppliers, ask for their samples to know about their quality of their clothing promo codes. Deal with them in bulk pricing discounts. Make a good relationship with your supplier before you go for any deal with them.